Grassfed sheep grazing at Broad River Pastures. Good food starts with good farmers. The knowledge of how to raise healthy animals on grass is priceless. Good farmers know their land, their animals, their plants, and how to manage them so that everything thrives. Factory farming relies on “one size fits all” formulas and schedules to do everything. Factory animals are given drugs, antibiotics, and supplements on a particular schedule that is usually the same for all of them. They are fed on grass for the same amount of time, given supplemental feed containing the same ingredients, shipped to the feedlot at a precise age, and kept in the feedlot for a time that does not vary from cow to cow. No wonder their meat all tastes the same—bland, greasy, and dull. Grassfed farming depends on the actual conditions on the farm, and knowledge of how to use those conditions to produce healthy animals with enough fat to be tender. Often the knowledge of how to do this is passed on from parents to the next generation of farmers. But what if someone who did not grow up on a farm tries to learn how to raise grassfed meat? Jon and Cathy Payne had successful careers in urban America. Jon had been in the security business for 35 years. Cathy had spent 38 years in elementary education. Instead of retiring to a life of comfortable idleness, Jon and Cathy decided to become farmers, producing real food on good soil, food of the highest quality. Jon and Cathy recently bought some sheep, and plan to raise grassfed lamb. I had the pleasure of interviewing Cathy today. Neither Jon nor Cathy came from farm families, and neither one of them knew anything about farming. They have learned a great deal by talking to local farmers, attending farm conferences, talking to people at buying clubs, and using Internet resources such as Yahoo Groups and various farming forums—and their own constantly increasing experience. Heritage breeds are animals that are particularly good for specific purposes, which have been developed by careful breeding over hundreds, if not thousands of years. They are an important part of the human heritage. Yet many of these breeds are in danger of dying out as they are replaced by new industrial breeds that serve the purposes of the large industrial agriculture companies. Jon and Cathy are preserving heritage breeds by raising them at Broad River Pastures. One of the breeds they are preserving is known as the Gulf Coast Sheep, or the “Gulf Coast Native Sheep.” These sheep are descendents of the sheep brought to the Gulf Coast by the Spaniards hundreds of years ago. They were allowed to roam the forests, and have completely adapted to the sandy soil, local forage, and heat and humidity of the region. They are immune to the local parasites, which will kill other breeds of sheep when they are still lambs. This hardy animal produces rich milk, tasty meat, and wool. These sheep need no assistance with lambing, and are able to deliver their own lambs right in the pasture. The Gulf Coast Sheep is in danger of extinction, but Jon and Cathy are raising some of them at Broad River Pastures. 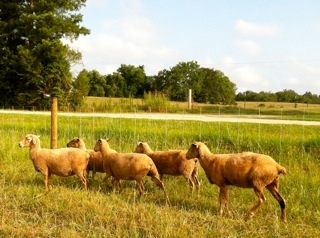 These sheep, purchased in June, are thriving at the farm. They will breed, and lambs will be born, and, if all goes well, some wonderful grassfed lamb will be available next year. Raising grassfed sheep is much harder than the industrial version. The sheep get almost all their nourishment from the grass and meadow plants on the farm. Cathy told me that you need healthy soil to have healthy meadow plants, and you need healthy meadow plants to have healthy lambs, and you need healthy lambs to have healthy, delicious grassfed meat. This means that Jon and Cathy, like all grassfed farmers, must monitor the condition of their soil, and enrich it with the minerals and manure and other substances that make the soil healthy. This can be a huge amount of work, and very expensive in buying the materials required. Jon and Cathy have fenced their pastures, so they will be able to practice rotational grazing, which will enrich the soil, but that takes time and a sizable herd, so they have had to invest a lot of time and money into soil enrichment. This time and money will ultimately be worth it, because the rich soil will support healthy grass and meadow plants that will feed healthy lambs. Jon and Cathy have obtained an English Shepherd, yet another endangered heritage breed, to herd and act as general farm dog. Jon and Cathy are using another heritage breed of dog, a Great Pyrenees, to protect their herds from predators. Jon and Cathy are raising other heritage breeds of other animals, and are planning to raise all kinds of fruit and crops along with the grassfed lamb. If you would like to support them in their endeavors, you can purchase some very healthy liver treats from them for your dogs. Here is the link to their farm, Broad River Pastures, where there is a contact page. I am grateful to Jon and Cathy for becoming sustainable farmers, for saving heritage breeds, and for raising grassfed lamb. The idea behind the Paleo diet makes a great deal of sense. For tens of thousands of years, humans have been eating the foods available during the Paleolithic period. Our bodies have adapted to use these foods and easily digest and process them. Our bodies know how to use the nutrients in these foods, and how to dispose of the waste in these foods. But what is the Paleo diet? What did Paleolithic peoples really eat? The Paleo diet is generally agreed to consist of foods that were only available during the Paleolithic period, before agriculture and the keeping of domestic animal herds had been developed. All grains, dairy products, all modern processed foods and oils are excluded. Wild meat, fish, roots, shellfish, berries, fruits, eggs, some tree nuts, vegetables, and edible fungi such as mushrooms are included. Some say that the Paleo diet should be meat-heavy. with an emphasis on lean meats. Others say it can be mostly fruits and vegetables. Some say it should be high-fat, and others say it should be low-fat. But what did the Paleolithic peoples really eat? A true Paleolithic diet was discovered and recorded by Dr. Weston A. Price, the great food researcher. In 1933, Dr. Price visited a native people living in the far north of Canada, far from the sea. These people were eating the same diet their ancestors had, consisting only of foods that were readily available during the Paleolithic period. These people had no agriculture, and no herds. They were so far north that they were deprived of all fruits and vegetables for most of the year. They were far from the sea, and the rivers were so frozen that there were no fish. 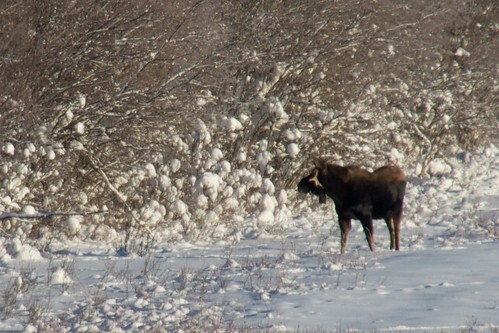 In fact, they ate very little other than the wild animals they hunted, often moose. They ate not only the meat of the animals, but the organs, and the fat, especially the fat. Meat was always eaten with fat. They also ate bone marrow, chewed on the bones, and used the bones in cooking. The animals they ate were mainly herbivores, grass-eaters, so they were eating grassfed meat and fat, and the organs of grassfed animals. And just about nothing else. Dr. Price found that these people were in excellent health, strong, happy, and vital. Though the temperature would often be seventy below zero during the long, cold winters, these people had learned how to keep warm and well-fed. The women would give birth quickly and easily, to healthy children who were free of birth defects. They had no dentists, and no cavities. Despite the extreme cold, nobody had arthritis. They did not have heart disease or cancer. They did not have diabetes or any of the chronic diseases so common in the modern world. Dr. Price wanted to know why they did not get scurvy, a disease caused by the lack of Vitamin C that causes teeth to fall out, and eventually results in death. Dr. Price learned that they got the Vitamin C they needed by eating the adrenal glands and second stomachs of the animals they hunted. Scientific research later confirmed that the adrenal glands of grassfed animals were the richest known source of Vitamin C, containing far more than any fruit or vegetable. These native people knew what part of the animal to eat, so they could get the nutrition they needed. In fact, they got all their vitamins and minerals from the fat, organs and bones of the animals they hunted. These people were so free from crime that nobody locked their doors, and nothing was ever stolen. After Dr. Price left these people, he traveled south, and studied the native peoples he met on the way. Many of these people had adopted modern food like jam, sugar, syrup, and bread. The native peoples eating modern foods were riddled with disease, many suffering from crippling arthritis. Tuberculosis, cancer, and tooth decay were very common. Dr. Price’s research described a true Paleolithic diet, and the wonderful health of the people who followed it. While this is not the only Paleolithic diet, it shows how beneficial a true Paleolithic diet can be. Natural, unhydrogenated, pastured pork lard. Animal fat is demonized in our society, and this includes pork lard. People are brainwashed into thinking that eating pork lard, or any animal fat, will “clog” their arteries, causing heart attacks and strokes. Animal fat seems to be blamed as the cause of almost every conceivable disease. This is truly ironic, as animal fat, especially pork lard, was the most popular cooking fat for most of humanity, throughout most of history. The traditional diets of two of the healthiest peoples studied in modern times, the Georgians of the Caucasus, and the Okinawans of the Pacific, were quite different in the actual foods they ate. Yet both of these healthy peoples did share a favorite food—pork lard and fatty pork. Despite the fact that these healthy peoples ate large amounts of pork lard, along with fatty pork, heart disease and strokes were very rare for them. Both of these cultures were known for a very high number of people who lived to be 100 years old, or older, and were healthy at that advanced age. The truth is that traditional peoples whose religion did not forbid it loved pork lard and animal fat, and ate huge amounts of it. Not only did they eat it and cook with it, they would often use pork lard to treat damaged skin, and as a moisturizer. Pork lard has many uses in cooking, and excels in all of them. Breads, biscuits, pies, and cakes made with pork lard come out especially delicious, and the fat in the lard helps counter the glycemic effect of the grains. Pork lard is perhaps the perfect frying medium, having a very high smoke point, cooking at an even heat, and providing a wonderful flavor to the foods fried in it. In fact, pork lard was the traditional fat used for stir-frying in Chinese cooking, and is still perfect for it, enhancing the flavor of every dish. Pork lard (along with duck and goose fat), was used for making confit, a way of cooking and preserving meat in large amounts of fat. Though pigs are omnivores, and not grassfed, I use a lot of pork lard in my recipes for grassfed meat. I use pork lard to sauté other meats, which gives them a nice flavor. I will also rub pork lard on various grassfed roasts, especially those which lack fat. The lard keeps the meat moist, adds great flavor, and causes any vegetables added to the pan to come out caramelized and delicious. The flavored pork lard from such a roast is also perfect as a base for gravies or sauces, making them utterly delicious. The ancient Chinese would often fry other meats in pork lard, just for the flavor. I have tried this, and it is delicious. But it is very important to know your pork lard, just as it important to know all of your food. I would not even taste most of the pork lard on the market, and I avoid it. If that sounds odd after I have been filling this article with praise for pork lard, there is a reason. Most of the pork lard sold in the U.S. has been hydrogenated, which means that it has had an additional molecule added to its structure through artificial processing. Not only does this create a fat which never existed in nature, it affects the nutrition and the taste. But the food industry invented this kind of modified lard because it can be stored at room temperature, and can stay on the shelf for a very long time. I make a real effort to eat food only in a natural, unmodified state, and it creeps me out to have the very molecular structure of a food altered for profit. It is now accepted that hydrogenated fats are bad for human health. I strongly dislike the taste of hydrogenated lard. 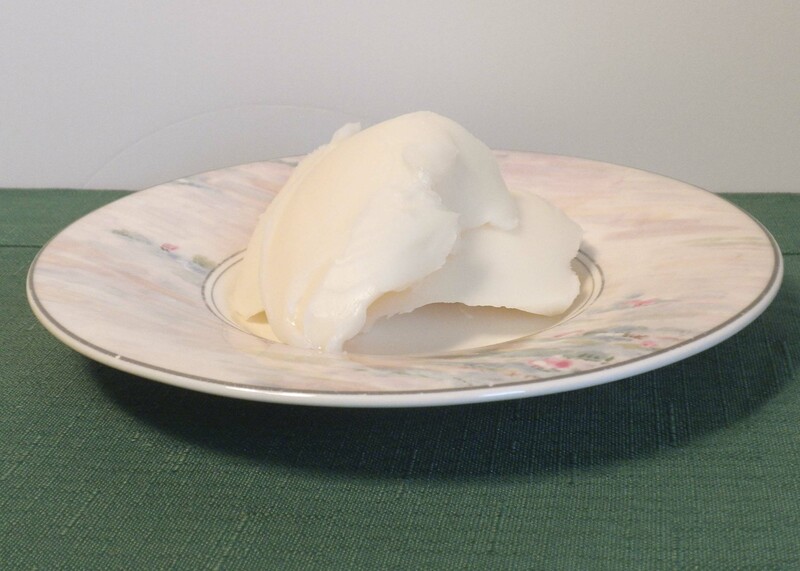 All of the benefits of lard described in this post came from real, unmodified lard, the kind that will actually spoil, and must be refrigerated or frozen. The best of this lard comes from pastured pigs, from heritage breeds, who are raised in a traditional manner, rather than being stuffed with GMO corn and GMO soy. This kind of lard is actually very good smeared on bread, like butter, and has a pleasant, nutty flavor. This is the only kind of lard I use or recommend. Natural, unmodified pastured pork lard is wonderful for cooking and eating. I love to eat grassfed beef fat. I actually will put a large piece of crisp, hot, grassfed beef fat in my mouth, and eat it with great enjoyment and satisfaction. Animal fat used to be the favorite food of most of humanity. But that has changed. Fat is taboo. Especially animal fat. Animal fat is supposed to be the ultimate poison. Even looking at it could cause a heart attack, or so people seem to think. Well, I do not believe this anymore, especially where grassfed fat is concerned. Grassfed fat has a very different composition than the fat of factory meat. Factory meat has far too much omega-6 fatty acids, and is lacking in CLA and various fat-soluble vitamins. Grassfed fat has a perfect omega-3 to omega-6 ratio, and is full of nutrients like CLA and fat-soluble vitamins. The healthy peoples studied by Dr. Weston A. Price ate plenty of animal and fish fat. But nutrition is not the only reason I eat grassfed fat. 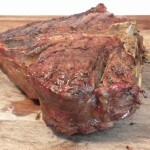 Grassfed meat is delicious, but the grassfed fat on the meat can be even tastier. One of the ways I research my books is to read old novels. Often they contain detailed descriptions of traditional meals, and how they were prepared. Time after time, I read of how the characters enjoy biting into a crisp piece of hot, roasted fat. One day, I decided to try it myself. It was absolutely delicious, crisp on the outside and melting on the inside, and so satisfying. Now I make sure to have some hot crisp fat whenever we have a grassfed roast, or pastured pork roast. I learned that I am following an old tradition. Some of the world’s greatest traditional delicacies consist of animal fat. Peking duck is made for the crisp skin, which is the high point of the meal. Several Asian cultures deep fry duck pieces, so the skin comes out hot and crisp. 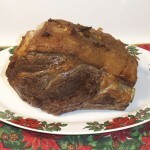 The crisp, hot, brown fat of a prime rib roast used to be prized in England. Sausages all over Europe and Russia used to be full of pastured animal fat. The taste of the hot, juicy fat squirting into the mouth when the sausage was bitten into was so prized that poems were written about it. The Native Americans prized all kinds of animal fat, not only adding it to their stews and pemmican, and using it to baste their roasted meats, but often covering their bodies with it. A steamed roast pork belly is still a festive dish in parts of China, and the fat is the favorite part. In parts of Italy, pork fat of the highest quality is spread on bread like butter. Middle Eastern skewered meats had chunks of fat on the skewer right next to the chunks of meat. I like beef fat best when it is crisp and hot. There are several varieties of grassfed beef fat, and I like them all. Prime rib fat has a unique, rich flavor, with a hint of sweetness. 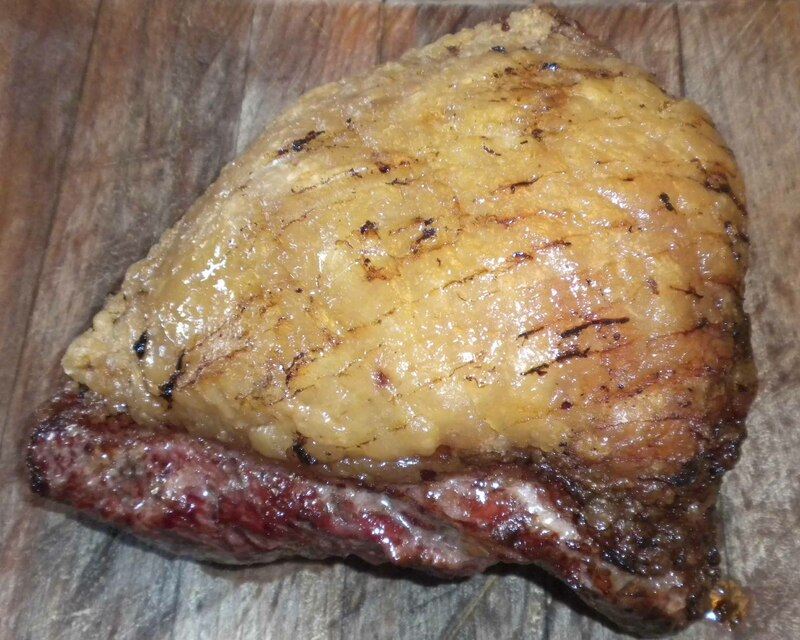 Sirloin fat, including picanha fat, crisps up beautifully when grilled or roasted, and gives an explosion of flavor when bitten into. You can see this terrific fat in the photo above. Caul fat (which is taken from an area near the kidneys) has a wonderful crispness and flavor all its own, and just might be my favorite. I also love bison fat, when I can get it. It has a wonderful crisp texture when roasted, and a rich, sweet flavor. Grassfed lamb fat is another favorite. It should be only eaten when it is very hot, as it can get greasy when lukewarm, but it has incredible flavor and a very delicate crispness when served hot. Pastured pork fat has a nice, delicate, crisp texture on the outside, but it is the rich, creamy inside that has incredible flavor and literally melts in your mouth. Grassfed fat and pastured pork fat can make vegetables delicious beyond belief. I will place plenty of sliced grassfed animal fat in a pan, and put it in a hot oven until enough of the fat has melted to coat the pan. I then add all kinds of vegetables, including carrots, celery, onion wedges, tomatoes, peppers, eggplant, and zucchini, in almost any combination. I will roast them together until the vegetables have caramelized beautifully in the melted fat, and are rich with concentrated flavor that is just wonderful to eat. If you do not mind the carbohydrates, you can do the same with potatoes, or apples, or both. Not only will they be over-the-top delicious, but the melted fat that penetrates them and intensifies their flavor will provide some protection against the glycemic effects. If you have never had vegetables roasted this way, you will not believe how good they taste. Just be sure to eat them hot. And, best of all, you will have a number of crisp, flavorful pieces of fat in the pan that are also a joy to eat. Grassfed animal fat is full of nutrition and is absolutely delicious!